Best time to get a deal: September is the time when panic sets in for unsold inventory resulting in more houses selling on discount (data below shows percentage of houses that have price reduction). In general, July-Sep season has most inventory and the most discounted prices. This is the time when people want to finalize their move before schools open again. Read this Zillow article for some really good insights. Click on the image to enlarge. Jul-Sep are the best time to get best discounts. 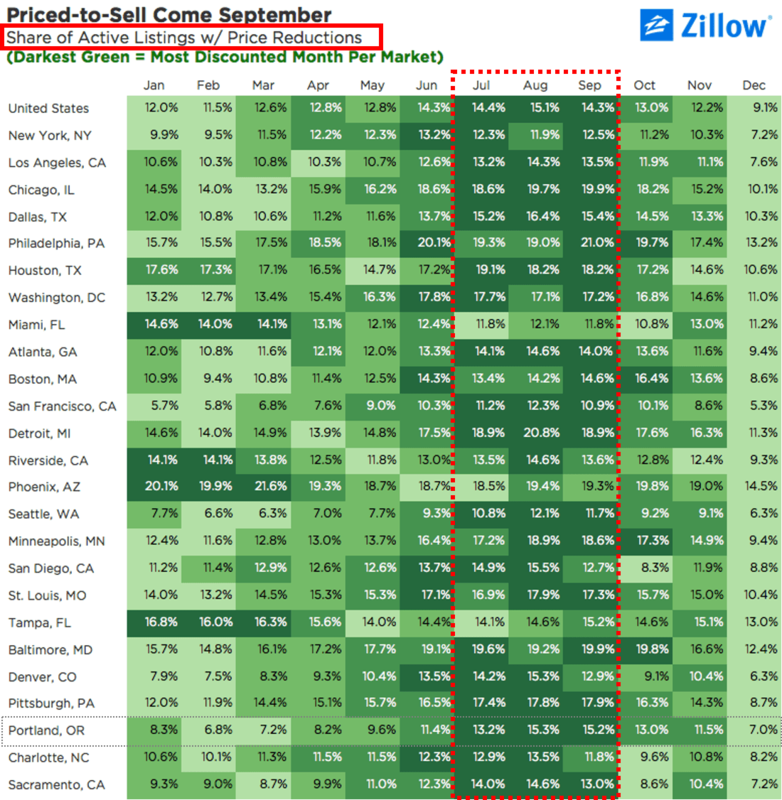 Source: Zillow: Preaching Patience: What’s the Best Time of Year for Home Buyers?